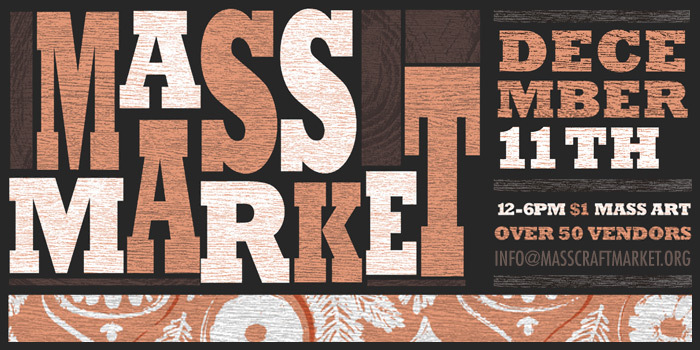 Applications for this year's Holiday Mass Market (December 11th of 2011) are currently closed! Check back at a later date, or better yet, join the Mass Market facebook group to be notified when applications open for the next event. All content © 2010-2019 MassMarket | info@masscraftmarket.org. Site design by artproof.